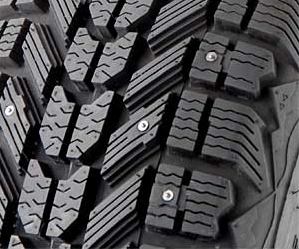 For many studded tire users – especially those with trucks or large SUVs – the availability of modern studded winter tires is poor, or they are simply prohibitively expensive. Those drivers must turn to having TSMI studs installed by hand into a studdable winter tire, using a stud gun. TSMI studs are a simple design from the 1960s. They are inferior in performance and durability to modern stud designs and, in steel-bodied form, also cause more damage to the roads due to their extra weight. However, aluminum-bodied TSMI studs will not cause excessive road damage, and if installed properly they can provide adequate performance and service life. Unfortunately, this is not always the case. In fact, it is quite common to receive poorly-studded tires from tire shops and online distributors, so be careful who you select to stud your tires. The installers often don’t have the experience or knowledge to do a proper job, or simply don’t care. Much of that apathy may be due to the job itself. Studding tires is a tedious, monotonous job that can become physically uncomfortable by the end of even a single set of tires. It is certainly a job that is best performed by robots and machines. 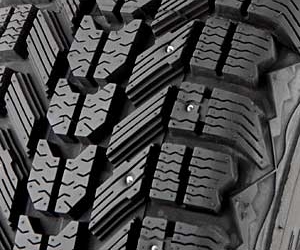 When you first receive your freshly studded tires, examine them very thoroughly, because this is your only chance to make corrections or refuse the product. Do not accept an inadequate job, as you will be unhappy with your tire performance and stud life for years to follow. Tires can not be re-studded once in use unless new holes are drilled, and custom studding requires more work and a higher level of competence than using factory-supplied stud holes, assuming there is even enough un-siped tread block area to reliably place new stud holes. 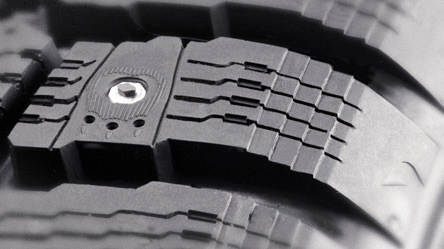 With a proper stud installation, the stud base – the metal housing surrounding the center pin – should be approximately level with the surface of the tire tread. Up to 1/32″ of variation is allowable. If the stud is inserted too deep or the stud used is too short for the hole, it will be ineffective until enough rubber wears away to expose the carbide tip. If stud insertion is too shallow or the stud is too long for the hole, it will protrude excessively, increasing tire noise and causing rapid wear of both stud and road until the stud fails prematurely, well before the usable winter tire life is exceeded. 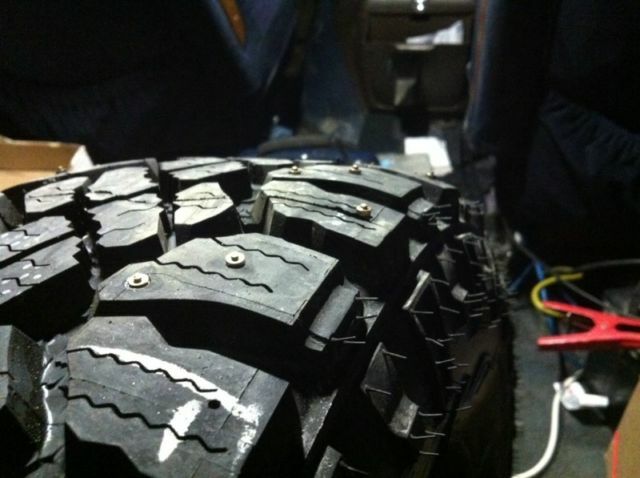 Longer studs will often be used for ice racing but are inappropriate for paved roads. The length of the carbide pin is 5.2 mm regardless of TSMI size, so excessive stud length simply exposes more of the pin, which is too delicate without the support of its metal jacket to handle the forces of high-grip surfaces. I’m sorry to hear about your poor experience with Tire Rack. Hopefully they get it right for you. Let us know what happened. Different stud sizes can have different colors. But the difference may not be obvious, so often the only way you could know for sure whether the proper size stud is used is to remove and measure one. But you will not be able to reinstall it without a stud gun, so best to trust the installer. If they get the insertion depth consistent and correct, it’s almost certain the stud is the correct size. You’d have to be a tire studding wizard to do a good job with the incorrect size! I suspect that the studs in the Firestones were also incorrectly installed. It’s a common problem. 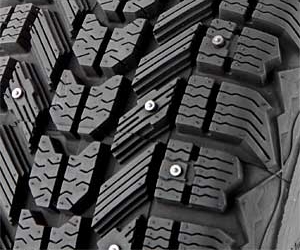 I have friends who have run studded Winterforces on trucks for many years without issue, and friends who have run studded tires on 2500 and 3500 trucks for years without issue, so I doubt that either the tires or the weight are the issue. Although, I don’t personally know anyone who has run studded Winterforces on a HD truck, so I suppose I can’t say for sure.